With a recent addition to AMACOM staff, we’re happy to bring back the “Introducing AMACOM” series with Senior Editor Stephen S. Power. I spent 13 years at Wiley, where I handled history, science and narrative nonfiction, created the sports list, helped build the pop culture list, and contributed to the current affairs list. I had three New York Times bestsellers: Keith Olbermann’s The Worst Person in the World, Patriot linebacker Tedy Bruschi’s Never Give Up, and Eagles guitarist Don Felder’s Heaven and Hell. And one of my books, The Science of Sherlock Holmes by E.J. Wagner, won an Edgar Award. It’s now being used in the International Exhibition of Sherlock Holmes, showing from October 10, 2013 to January 5, 2014 at the Oregon Museum of Science and Industry before moving to COSI in Columbus, Ohio. For a Holmes fan, let alone an editor, that’s about as good as it gets. I handle leadership, management and HR titles, that is, books for bosses. I have two ways of finding projects: reading submissions from authors and agents and commissioning titles. Regarding the latter, when I read an article or hear someone speak about a topic that could be the basis for a book, I’ll see if there’s a market for such a book, then, if so, reach out to the author and see if she’s interested in writing it. Or, if I see a trend developing and want to capitalize on it, I’ll look for an author with the credibility to write about it and following we could reach and contact him. Commissioning can be painstaking and the failure rate is high, but it’s worthwhile because the research gives me insights into facets of the business shelf I might not otherwise have seen. And sometimes a book I commissioned becomes the basis of a museum exhibit. As an editor my basic responsibility is creating a great manuscript that fulfills the promises it makes to its readers and for which the readers bought it. But I’m also involved in creating the package, which includes the page design, the jacket design and jacket copy. This is nearly as much fun as editing. I love a good-looking book as both a retail object and a cultural totem. And I love helping design a book that looks more desirable than our competitors. Finally, you could say an editor is like a facilitator in a restaurant, transmitting info to authors, agents, and other departments so they can get their jobs done. But I’d rather say an editor is a book champion. As I transmit all this information, what I want to do at the same time is reinforce everyone’s engagement with a book and ramp up their enthusiasm for publishing it. Years ago, author and agent Jim Hornfischer wrote a wonderful article on how the key to publishing a book successfully was maintaining the “chain of enthusiasm”: the author gets the editor enthused, the editor gets marketing enthused, marketing gets sales, sales gets the store reps, the stores gets the buyers. My job as book champion is keeping that chain strong. Not dropping everything to grab at shiny new objects. As much as I really want to read or look for new proposals, it’s the day to day work on a book that keeps the chain strong. While I might have two or three books that I’m doing serious work on during any one day, I’ll still touch 20 other titles in some way. I have to honor my commitment to those authors. My first acquisition for AMACOM, The 10 Golden Rules of Leadership by Panos Mourdoukoutas and M.A. Soupios. No surprise, it’s at the top of my list right now! 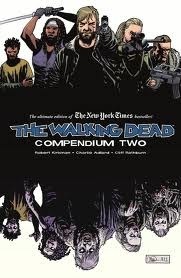 On paper, I’m reading The Walking Dead, Compendium 2, which might get preempted by my shiny new object, Rachel Rising: Cemetery Songs. On my Nook, I’m halfway through Naomi Novik’s Blood of Tyrants and just finishing Beethoven’s Shadow, by Jonathan Biss, whose Coursera course on Beethoven’s piano sonatas I’m currently taking. On audio, I’m alternating chapters between the omnibus edition of Hugh Howey’s Wool and John Galsworthy’s Forsyte Saga because living in a dystopian silo isn’t all that different from living in late Victorian England. And one of my reading projects for 2013, to be taken up in slack moments, is to read The Best American Sports Writing of the Century and The Best American Essays of the Century. 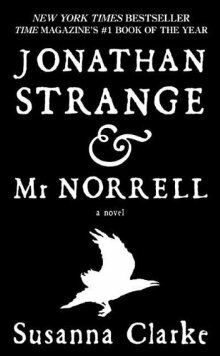 I’ve given away nearly 10 copies of Susanna Clarke’s Jonathan Strange & Mr. Norrell. I’ve only read it once, though. Like John Irving’s A Prayer for Owen Meany, the greatest novel ever written and which I’ve also only read once, I’m afraid that rereading it would somehow diminish it. They can make me use the Oxford Comma, but they can’t take my freedom. Read more “Introducing AMACOM” posts here. This entry was posted in Introducing AMACOM. Bookmark the permalink. Stephen is a fabulous editor. You are very fortunate to have him at AMACOM!